In their study, “Serum unconjugated bisphenol A concentrations in women may adversely influence oocyte quality during in vitro fertilization” published in Fertility & Sterility , University of California researchers reported a direct link between detectable amounts of the chemical Bisphenol A (BPA) in IVF patient’s blood and reduced egg quality. BPA is a well-known endocrine disruptor because it can mimic hormones and interfere with normal hormone action in the reproductive system. 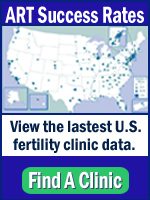 According to Dr. Victor Y. Fujimoto, MD, lead investigator and professor in the UCSF Department of Obstetrics, Gynecology, and Reproductive Sciences, as levels of BPA doubled in the blood stream of twenty-six women enrolled in an IVF program at University of California, the fertilization rate decreased by 50%. This is not the first study showing that BPA is a fertility toxin. Earlier animal studies also showed that BPA affected the DNA of the genes in the mouse’s offspring which are important for future fertility of the pups. Mouse studies have also shown toxic effects of BPA in the mouse ovary, which could affect the number of eggs produced. If similar mechanisms exist in humans, it may explain some causes of premature ovarian failure. Another study in humans showed that increased BPA concentrations in urine was associated with reduced numbers of eggs at retrieval. There are no studies suggesting BPA is beneficial for fertility. Why should we worry? Because BPA is so widely used in the manufacture of products we use every day. BPA is used to manufacture various plastic products including baby bottles, protective plastic linings in food containers and metal cans, reusable water bottles and composites and sealants in dentistry. Because it is in such widespread use in manufacturing and it leaches from plastics into food, almost everyone in the US will have detectable levels of BPA. In fact, if a random sampling of nearly 400 subjects is representative of the US population, more than 95% of us will have detectable levels of BPA in our urine. What can we do to reduce our exposure? The Program on Reproductive Health and the Environment at UCSF has a website Toxic Matters from which you can download a PDF brochure with tons of advice on decreasing your exposure to environmental exposures at home and at work. Regarding plastics, the recommendation is to avoid using plastic containers in the microwave or storing hot foods or beverages in plastic. Exposure to heat encourages the leaching of BPA from plastics. Use only glass containers in the microwave. The UCSF recommendations also suggest avoiding soft plastics made from polyvinylchoride (PVC) which has also been implicated as a toxin. PVC is used to make some plastic shower curtains and kid toys. While the egg quality study is a small one, it falls in line with many animal studies that suggest BPA is a bad actor for fertility. Some people may have “excess” fertility and may better tolerate exposure to these environmental toxins. Unfortunately, it is not obvious how many extra eggs or sperm or genetic resilience we have to various environmental toxins. For anyone who wants to be pregnant, reducing exposures to environmental toxins, particularly endocrine disruptors can’t hurt and may better support fertility. Are the negative effects of BPA on fertility reversible? I mean, if BPA indeed was responsible for poor egg quality, would cutting it out as much as possible improve the egg quality? Reversibility probably depends on when the exposure occurs and what reproductive process is affected. For instance, DES is one of the most well-studied endocrine disruptors. It was prescribed for pregnant women to prevent miscarriage, but caused developmental deformities in the uterus of the developing children. So female children of DES moms had characteristic structural abnormalities in the shape and size of their uteri which made it difficult or impossible for these children of DES moms to carry a pregnancy. Other endocrine disruptors have been implicated as being involved in the promotion of obesity by affecting fat metabolism and storage; these effects may be reversible. The data on human egg quality is too new and preliminary to know if it is reversible or not. However, because most of our eggs remain in a sort of suspended animation until called forth for continued development for a particular menstrual cycle, it is possible they may be somewhat protected until they become metabolically active again. Until we have more studies, it seems prudent to do what we can in our daily lives to reduce any potential harm. Here are some more links to more information about endocrine disruptors. I’m gone to tell my little brother, that he should also go to see this web site on regular basis to obtain updated from most recent information.